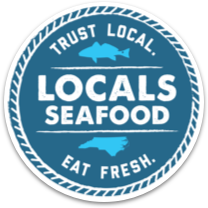 Picked crab meat is a great alternative to cooking live crabs. You get all the meat and none of the work. 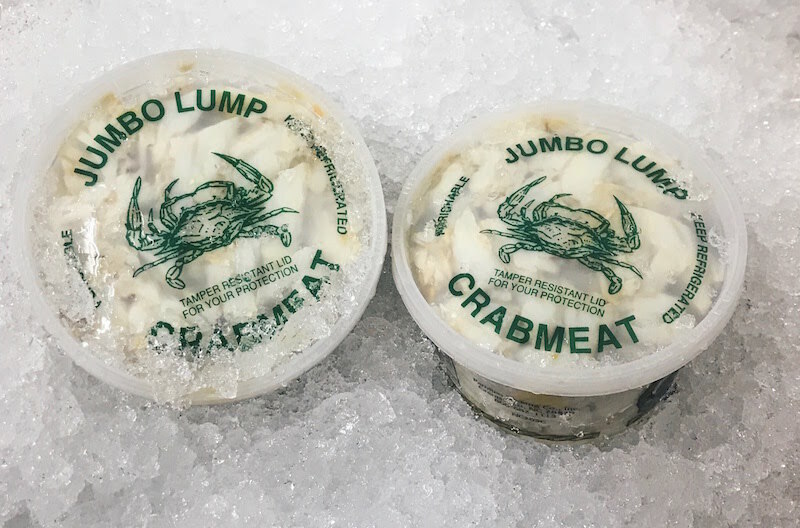 Jumbo Lump is the top tier of blue crab meat in North Carolina. This meat is from muscles found on the back of the crab. The pieces are whole and plump with a bright white appearance. It is best utilized in dishes where large pieces of crab are desired, such as pasta or curries. Lump is essentially the same meat as Jumbo Lump, but the pieces have broken and fallen apart. There may also be a bit of backfin meat mixed into a container of Lump. 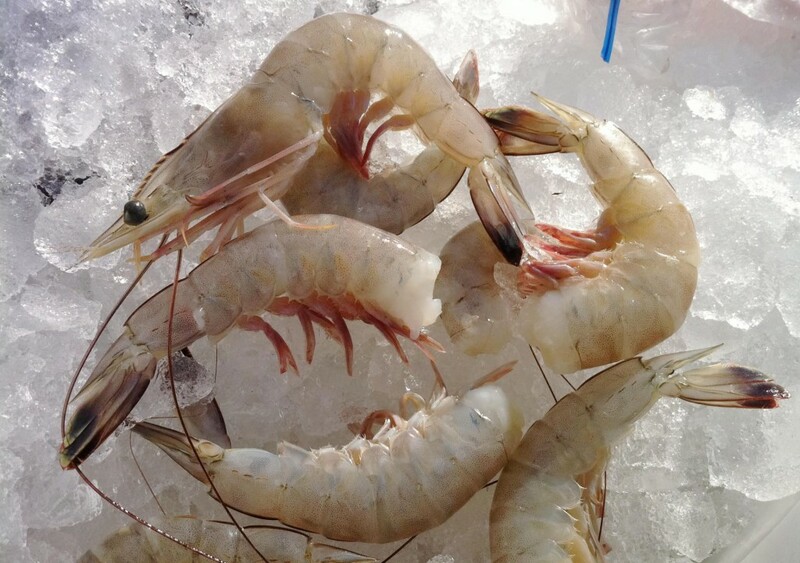 Lump is a great option for crab cakes, stuffing, or casseroles. 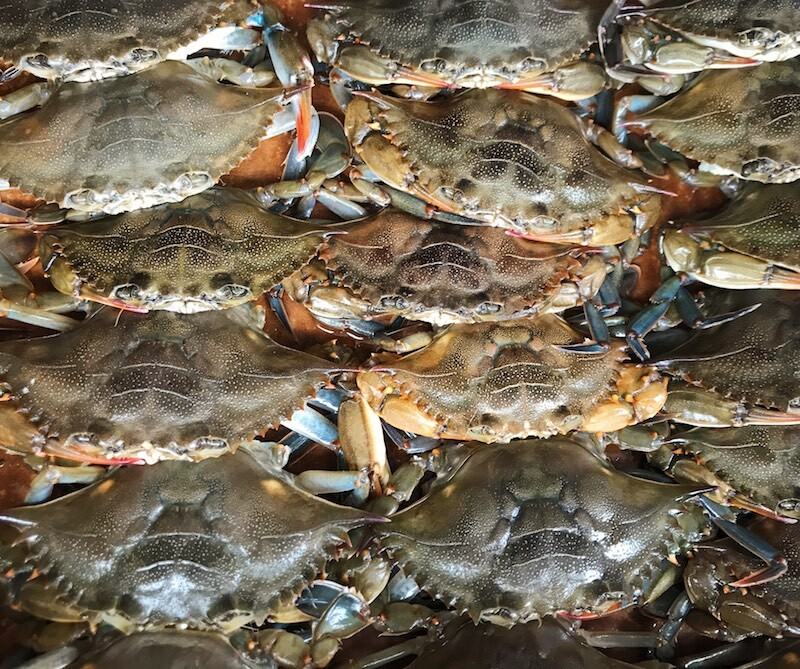 Backfin is made up of small flakes picked from the body of the crab, called special meat. Backfin usually has some shell pieces mixed in. Take care to pick those out when preparing your dish. Backfin is ideal for crab cakes, salads, or soups. Claw meat comes from the claws and the legs of the crab. This meat is darker and more varied in color. 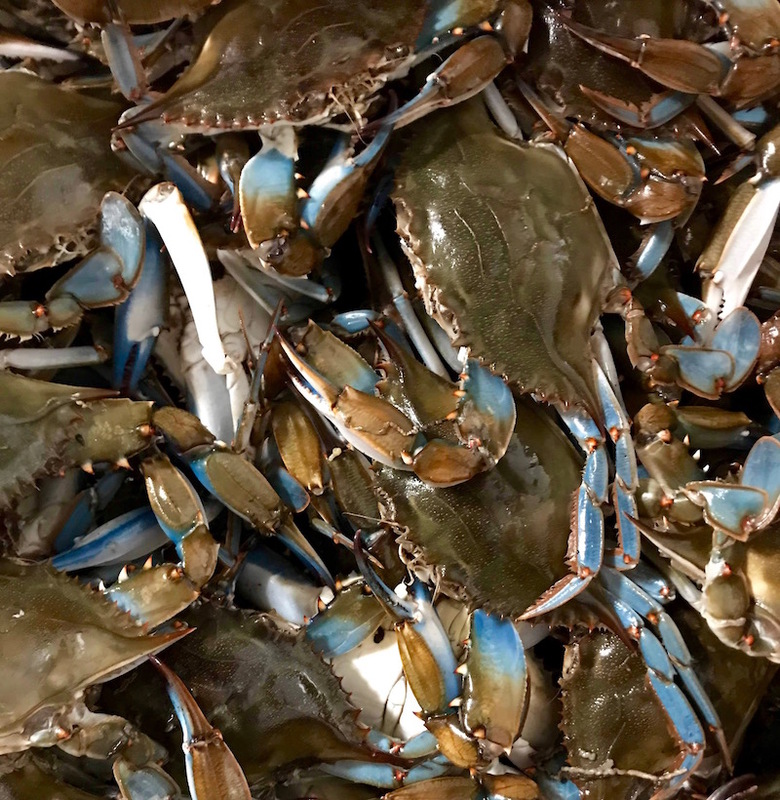 The flavor is a bit stronger than meat from the body of the crab, making it good for dips or stews. Sweet, clean flavor. Firm meat.